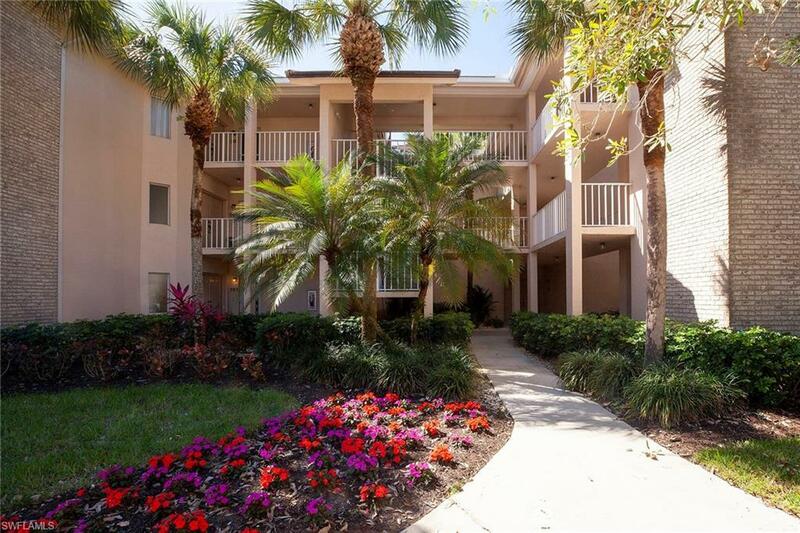 The buyer can be a social member or golf member with a purchase of this condominium. This very desirable, Turnkey-Furnished, first-floor end residence offers a double-door entry and is very wide with plentiful natural light. 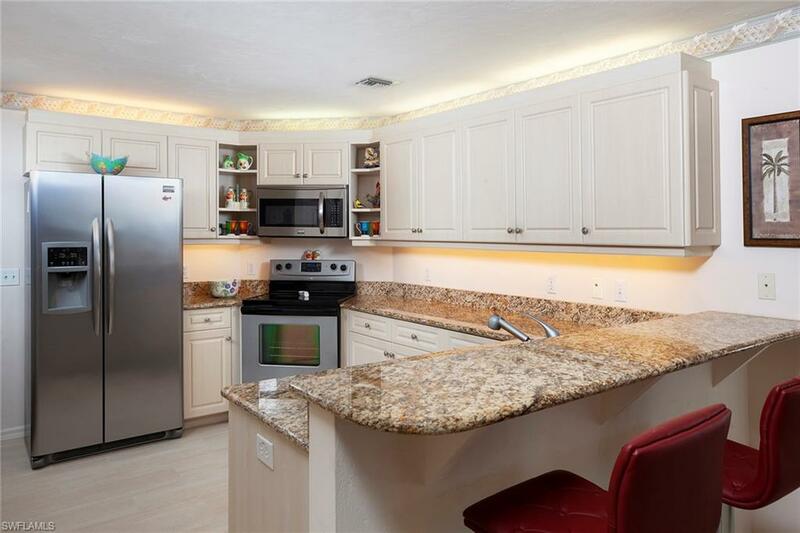 The spacious kitchen is open to the dining area and boasts stainless steel appliances, new tile flooring and granite countertops. The large master bedroom offers sitting and desk areas. The master bath has Corian vanity with dual sinks, large frameless walk-in shower with updated tile and soaking tub. The guest bedrooms and baths are private and perfect for your guests. The expansive (must-see) freshly painted lanai featuring sliders and screens, showcases gorgeous lake views. Updates include new carpet, less than one year, tile in kitchen and baths, washer and dryer, blinds and fans. 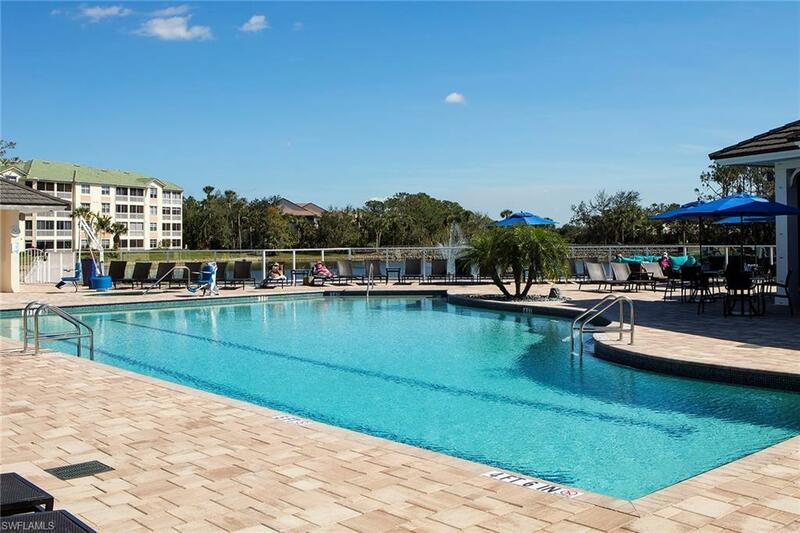 Eagle Creek is a quaint, award-winning, private, gated community with golf available, tennis, fitness, poolside bar and grill and abundant social activities. 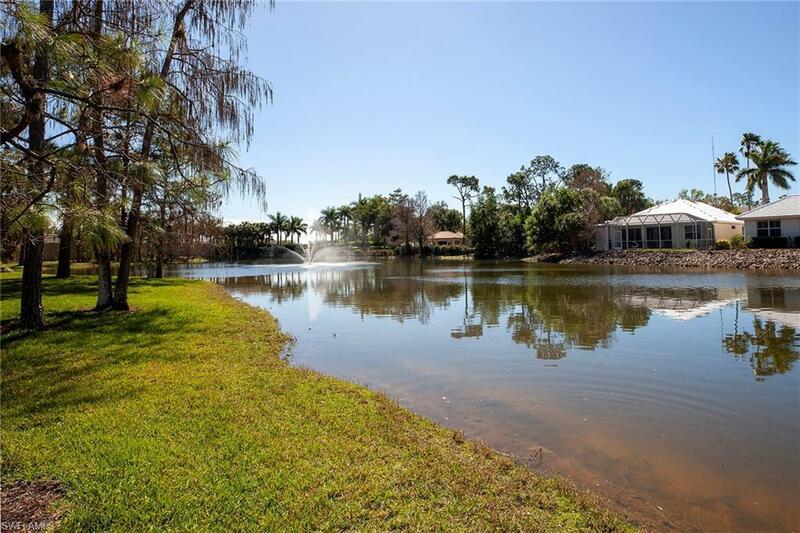 Enjoy this excellent location close to shopping centers, restaurants, downtown Naples and Marco Island! Shopping and dining are just outside your door.